Quickly growing community choice aggregations (CCA) are expected to play a significant role in drawing 85 percent of customers away from California’s investor-owned utilities by 2025, according to a new report. The community aggregation report was one of three on grid disruption released by Next 10, an organization with a goal of improving California’s future. The other two reports focused on electric vehicles (EV) and distributed energy resources (DER). All three studies attempt to uncover ways to improve the grid and reduce greenhouse gas emissions, said Noel Perry, founder of Next 10. Community choice aggregations are energy buying coops formed by cities or counties. Another report, “The Growth of Distributed Energy: Implications for California,” found the state to be home to 90 percent of the small-scale energy storage in the US and half of all US large-scale storage. In addition, as of 2017, 36 microgrids operated in California, with an additional 80 under construction or planned. 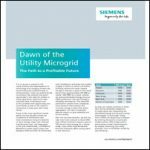 Together, these microgrids will provide over 650 MW of peak capacity to the grid, “less than one percent of the total in-state generation capacity, but an important resource to help manage grid reliability,” the report said. The growth in community choice aggregations reflect customer desire for more choice and control, according to JR DeShazo, director, UCLA’s Luskin Center for Innovation and a co-author of the CCA report. “There has been grassroots interest across the state. It’s coming from localities that want the opportunity to procure their own energy. They are local communities that want local control and are unhappy with the historical arrangement of being part of the large service territories of Southern California Edison and Pacific Gas & Electric,” he said. In California community choice aggregations are forming to meet environmental and climate-change goals. In other parts of the country, such as New York, communities hope to gain access to less expensive energy. Eight new community choice aggregations launched in California this year, bringing the total to 18, and about 20 are expected to be in place by the end of the year, said Trumball. “There’s been almost exponential growth in CCAs in California,” she said. To date, one community choice aggregation, Redwood Coast Energy Authority (RCEA) plans a microgrid, but Trumball said she expects more will follow its lead. RCEA is located in a rural area in Humboldt County more than 100 miles from transmission, said the report. It is focusing on local energy production and is pursuing the microgrid, supported by funding from the California Energy Commission. RCEA will own and operate the multi-customer microgrid, which will include 2 MW PV and 2 MW storage. Community choice aggregations in the state have begun investing in local energy programs, including EV rebate and demand response programs. They pay up to three times more than IOUs for renewable energy – generally rooftop solar — through net metering programs, she said. Under most utility net metering programs, the meter runs backward when the generator produces power. What’s more, community choice aggregations in Sonoma and Marin County have feed-in-tariff programs for compensating renewable energy generators, said Trumbull. These are generally seen as a better alternative than net metering because they are generally long-term contracts at set prices. They also allow energy to be generated and sold independently of consumption, while net metering is tied to consumption. The growth in California community choice aggregations has also boosted the ratio of renewable energy per California customer, said DeShazo. That’s because there are fewer utility customers, which increases the ratio. Under California’s renewable portfolio standard (RPS) requirements, the utility must purchase long-term contracts for hundreds of megawatts of renewable energy, he said. When the utilities lose customers to community choice aggregations, the ratio of renewable energy per customer increases. This affects how much renewable energy the utilities must purchase to meet RPS requirements. “What’s so stunning about that is, within 18 months, by 2020, the IOUs will have met their 2030 goals for renewable energy in the state,” he said. Join Microgrid Knowledge for our fourth annual conference, Microgrid 2019, May 14-16 in San Diego. Those who leave utilities for community choice aggregations are offered energy that has a higher amount of renewable energy, according to a press release from Next 10. Community choice aggregations offer customers electricity that’s made up of 37 to 100 percent renewable energy, and an average of 52 percent. 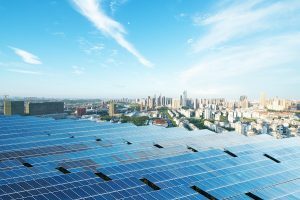 Utilities, on the other hand, offer renewable energy content between 32 percent and 44 percent, but estimate a renewable content of more than 50 percent by 2020. A second report about EVs, “Electric Vehicles and the California Grid,” found that the expected 3.9 million EVs will increase the state’s annual load by about 15,500 GWh, or 5 percent of the total load. It also said that in 2017, the state’s EVs accounted for only about 0.01 percent of total distribution system upgrade costs. In addition, the report noted that smart charging could provide “significant benefits.” An analysis found that smart charging of 2.5 million EVs could avoid 50 percent of incremental power system operating costs and cut renewable energy curtailment by 27 percent annually, compared to charging the same number of vehicles without smart charging. Next 10 commissioned these reports in an effort to better understand how to reduce greenhouse gas emissions, said Perry.